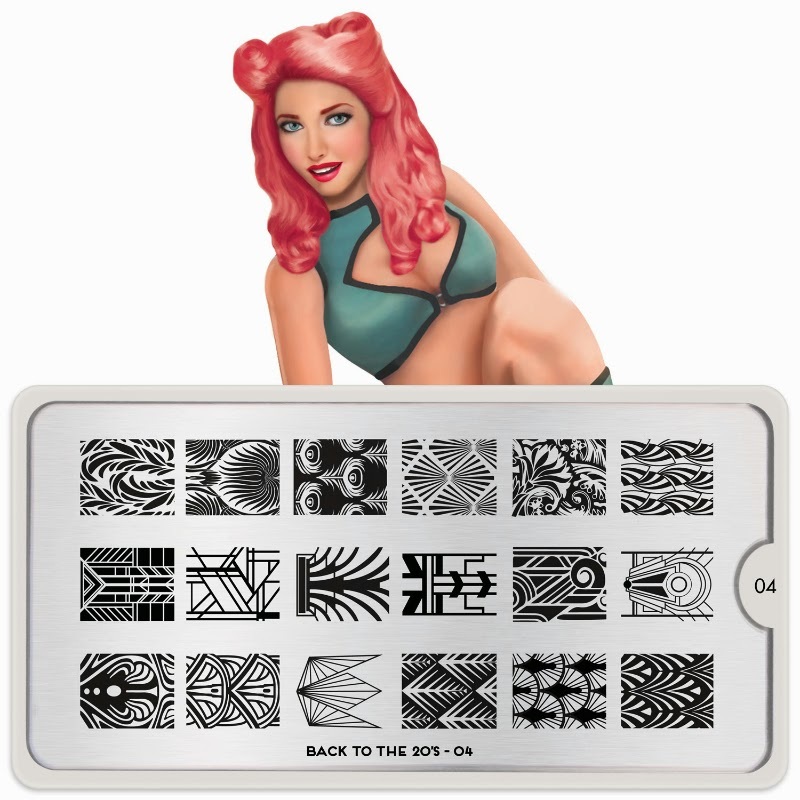 Lacquer Lockdown: Hot Off The Stamping Press: MoYou London Back To The...Collection Expansion! Hot Off The Stamping Press: MoYou London Back To The...Collection Expansion! So I'll be honest and say right off the bat that the Back To The...Collection has been hit or miss for me. I have several of what I consider the must have decades plates i.e. 70's, 80's, 90's and a few of the 20's. 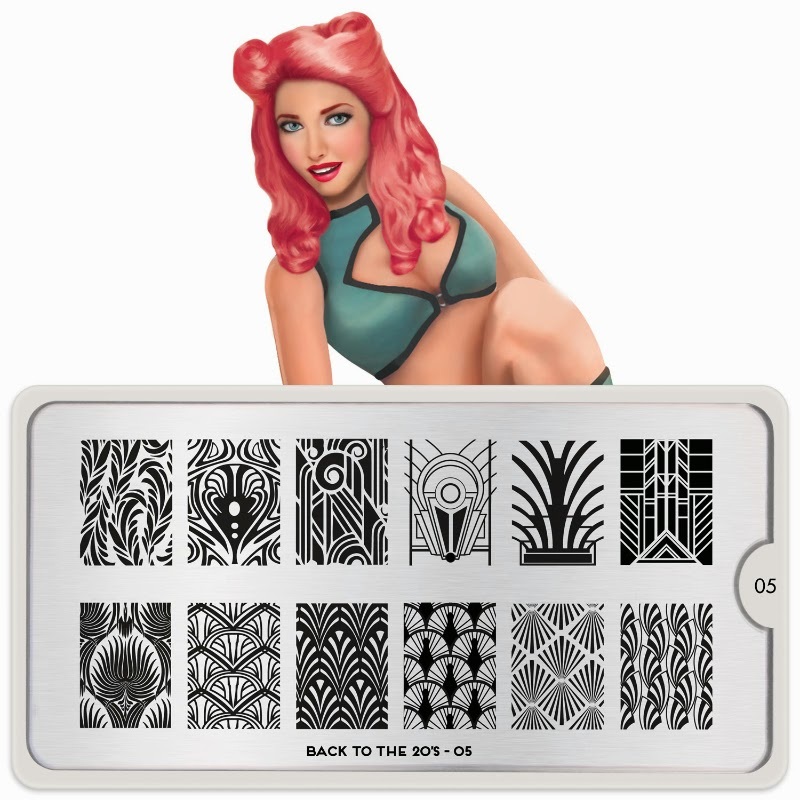 When MYL initially expanded on this collection they did a bunch of the "outfit" images which I wasn't fond of so I haven't spent a lot of time looking over the other releases since, but I will admit I love a good art deco plate! So of course this roaring 20's inspired architectural plate is right up my alley. Cute. However for me not necessarily essential. I have several 50's plates from Chez Delaney that are similar of course I'm loving the ladies on this plate waaayyy too much and the bowling image. I can almost here the words to Summer Loving drifting through my head a la Grease. Meh. I see images that I have across several other plates here. The last release of Vivid Lacquer and some of my Cici and Sisi images from the Jumbo Sets 1 and 2 come to mind immediately. So this one is a pass for me. That's my whole problem with MoYou London always so tempting lol!